I opted to use this Sugino AT crank .. I located some NOS Tange Swiss bottom bracket cups and I have a Nervar 126mm Asymmetrical spindle unfortunately the Nervar is ISO and not JIS .... I discovered from talking with Yellow Jersey about their Tange sealed cartridge bottom brackets that I can't use a newer sealed cartridge BB because the all of the new ones are symmetrical. So the question I have is what are my options aside from finding a Sugino MT-68 spindle ? The original spindle was only 119mm long, just with an 8mm offset. If you buy a regular 122mm cartridge bottom bracket and use a 2mm spacer on the drive-side, that should do it. Last edited by SamSpade1941; 03-19-19 at 08:05 PM. Yeah, all I know is what I've read online. A couple references say that the triple used a 29.5-52-37.5 spindle (119mm). You would need a 127mm symmetric spindle in order to get enough clearance for the chainrings. I've got two bikes with the AT cranks; one set up as a triple and one as a double. Both use a 127.5mm Shimano cartridge with a couple mm of spacers under the right cup. Works for me. I was just in the garage looking and it appears that I have a Shimano 122.5 spindle so it looks like I am good to go when I get ready to rebuild the Grand Jubile ..
Works for me also, except I splurged on the 127mm SKF sealed BB with about 5mm of DS spacers for my triple. Chain line came out perfectly. 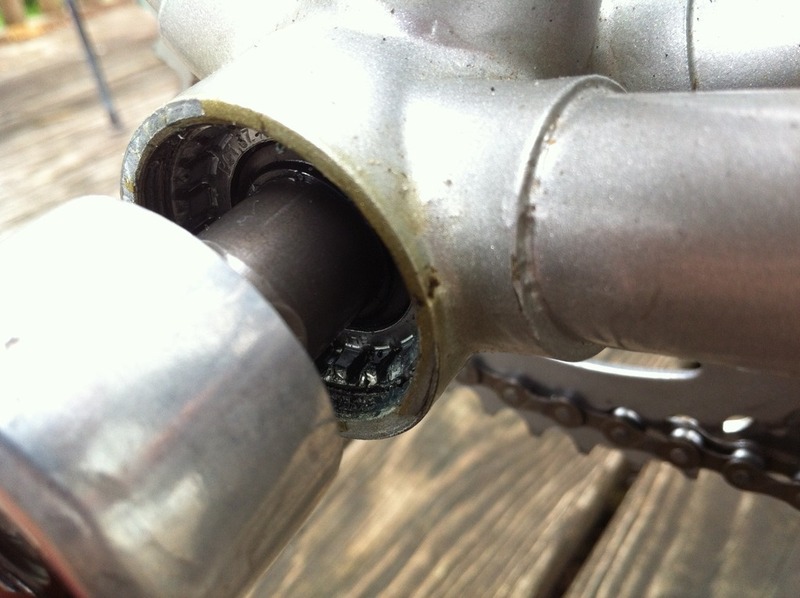 Where are people sourcing spacers the fit under a Shimano British UN 55 bottom bracket? i just go to the bike store .. I'm one of the freaks. Location: Lake Superior, sometimes the UP, periodically leaves/returns to Alaska for good. I've got one bike with an AT and another with a GT, both with my favourite (besides Phil) BBs, the Tange LN-3922 (sym., and way better than the Shimanos). I think I've got spacers on both. I've never felt particularly bent by the position of crankarms a few mm this or that way off centre. 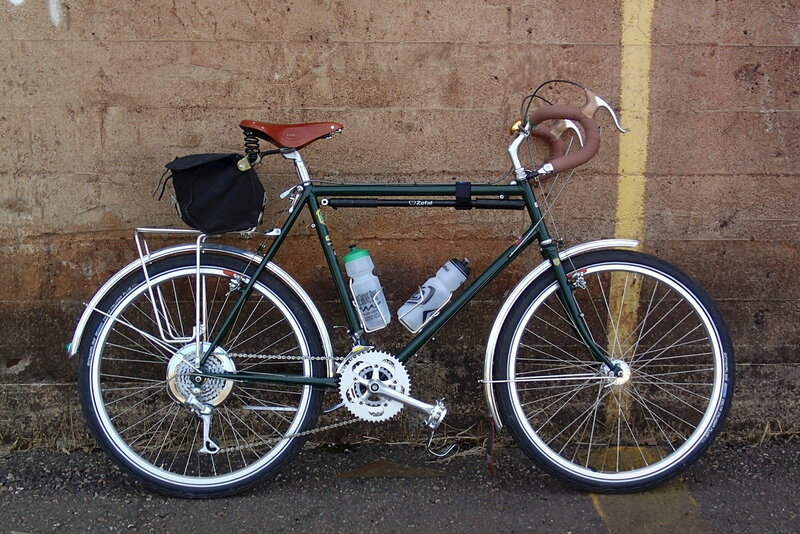 By the way, that's the same Brook flyer on both - now on my recently finished 2016 Woodrup,touring bike. 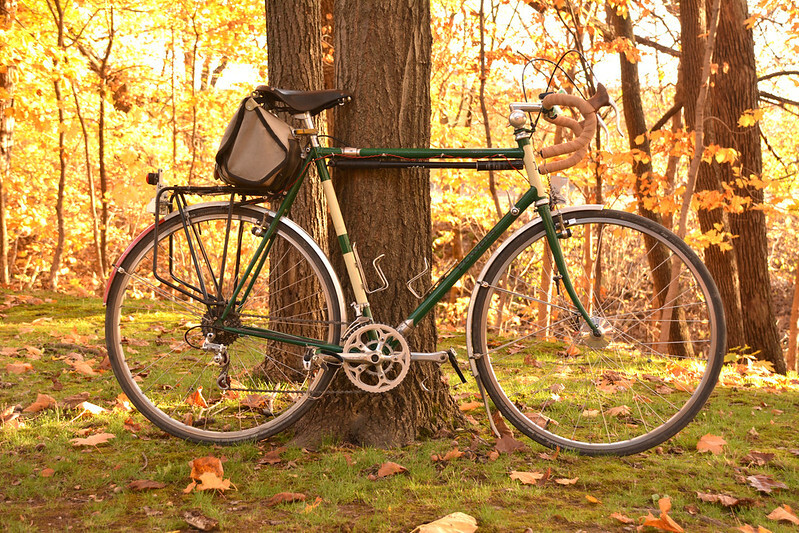 The Univega now has a black flyer (and tape - looks better with silver & grey), and the Kibo a green B17 special. Wheels Mfg makes these: https://www.universalcycles.com/shop...ls.php?id=2241 You could probably use about anything that has a ~35mm ID, though. I should add: when using a bunch of spacers on a cartridge bottom bracket to simulate an asymmetrical spindle, you need to make sure the left cup does NOT have a lip/ledge. A ledge can stop the left-side cup from going far enough inside the bottom bracket shell to join up with and support the cartridge unit. 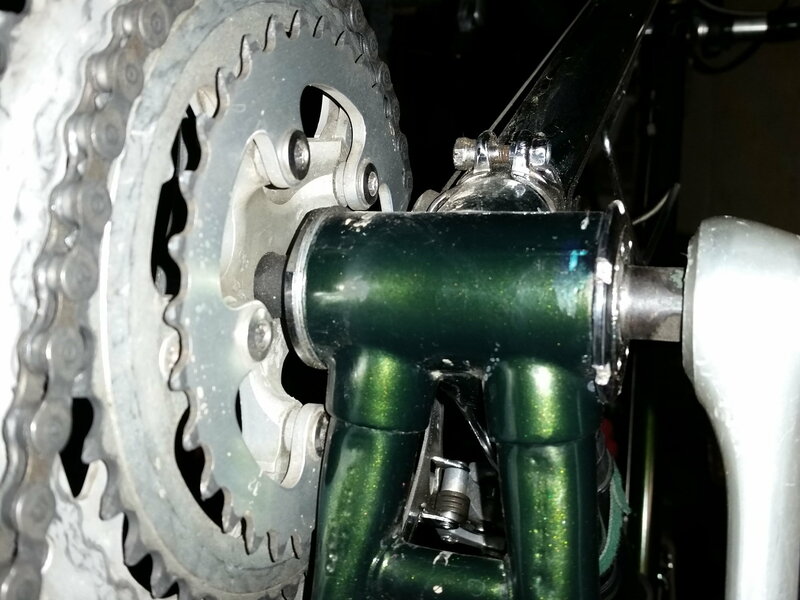 Here's a picture example of how far the left-side cup can go into the frame to support that bottom bracket. Last edited by ThermionicScott; 03-20-19 at 08:18 AM. Whoa, that's impressive. I had no idea that kind of setup would work. I guess I can't think of a reason why not. Any issues with removal, creaking, etc running it that deep inside the shell? On the flip side, if I had used a regular bottom bracket cup with a ledge on this project, the left side of the bottom bracket cartridge would be totally unsupported, and I could see the bottom bracket eventually loosening up and/or creaking. I would call first, save yourself from a wasted trip. A modern 1.37 i.d. cassette spacer works fine, and most shops should have them in various thickness. I used two, with a 127mm spindle to fit an AT triple on my '73 Super Course. One spacer might gave been enough, but I didn't want to do it twice. My bike has an indent on the driveside chainstay for crank clearance. 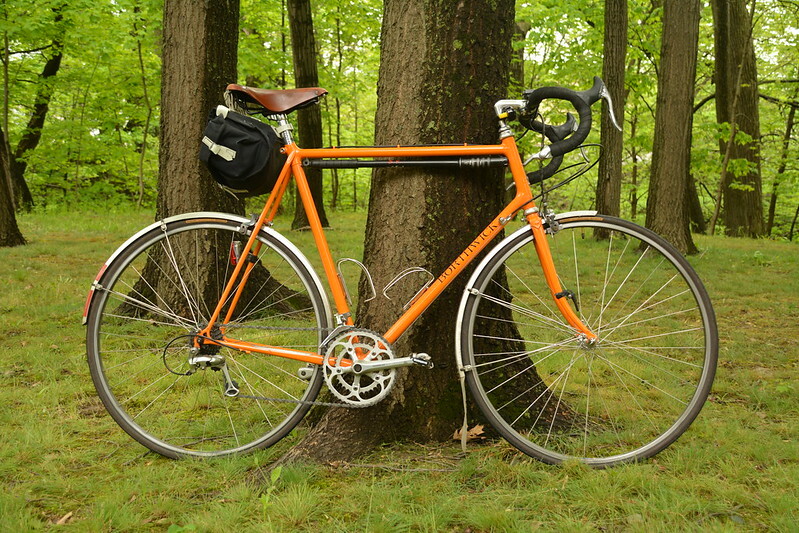 I'm also working on a '78 SC with straight chainstay, and it is really a tight fit. I've only been able to fit an SR Sakae double. 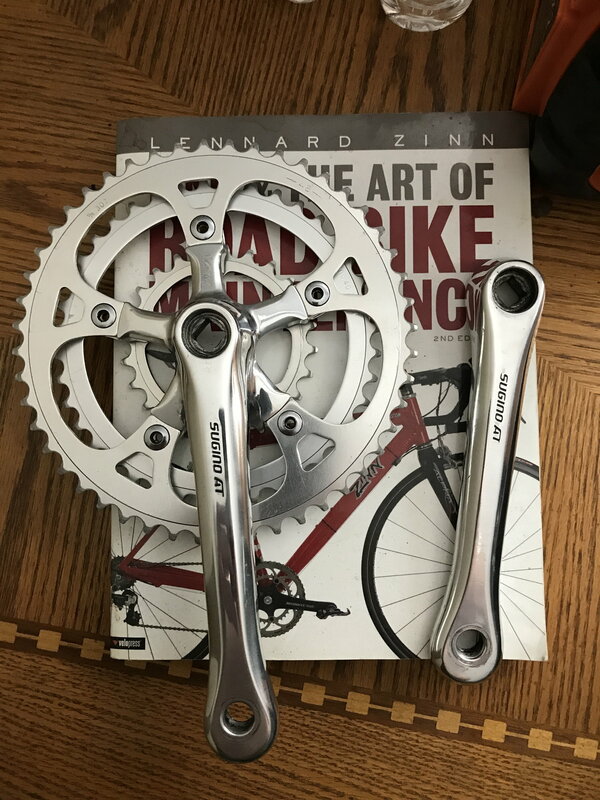 The triple either hit the frame, or the front derailleur wouldn't reach out far enough to shift the big ring, depending on the spindle length. Both if my SCs were frames without cranks when I got them, so it has been an improv. Silver spacers (two) on my Super Course. I bought a ten pack of 1mm BB spacers here. I think its cheaper than getting them directly from Wheels mfg. They also have other thicknesses. They tout those as freewheel spacers, but using aluminum for a freewheel spacer too often results in a very uneven seating of the freewheel body on the hubshell as the soft spacers tend to squeeze out asymmetrically or eccentrically from between the hub and freewheel. A wobbling freewheel is then the result. I've even seen the alloy spacers split and move out of place when securely tightened under a fixed cup flange, and I've also seen where someone used a plastic spacer under the fixed cup. Not sure if the spacers on the green SC above are steel or aluminum (I seem to remember that they are zinc plated steel) but I've done over 2500 miles on the set-up with no issues, fingers crossed. Its the first bike I ever built. So far so good. 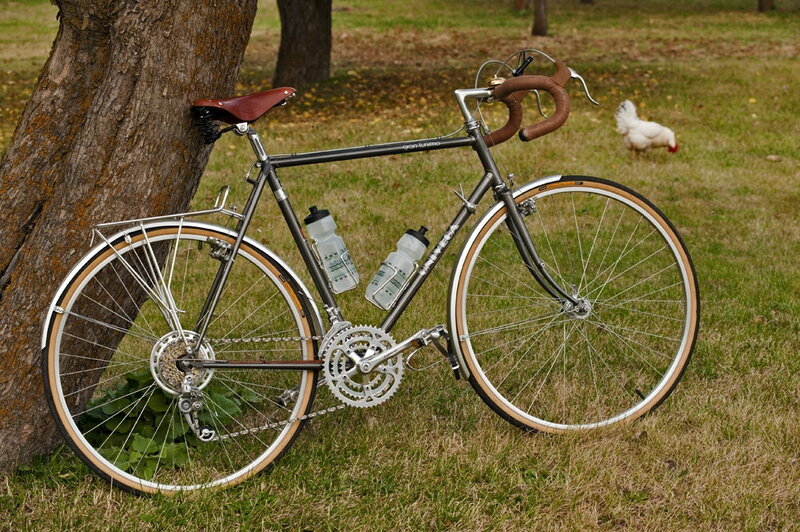 I have one on the freewheel too, to keep the derailleur from ticking the spokes. I hate symmetric BBs for the simple reason that my knees care far more about me getting my feet close together than any part of me noticing the asymmetry. 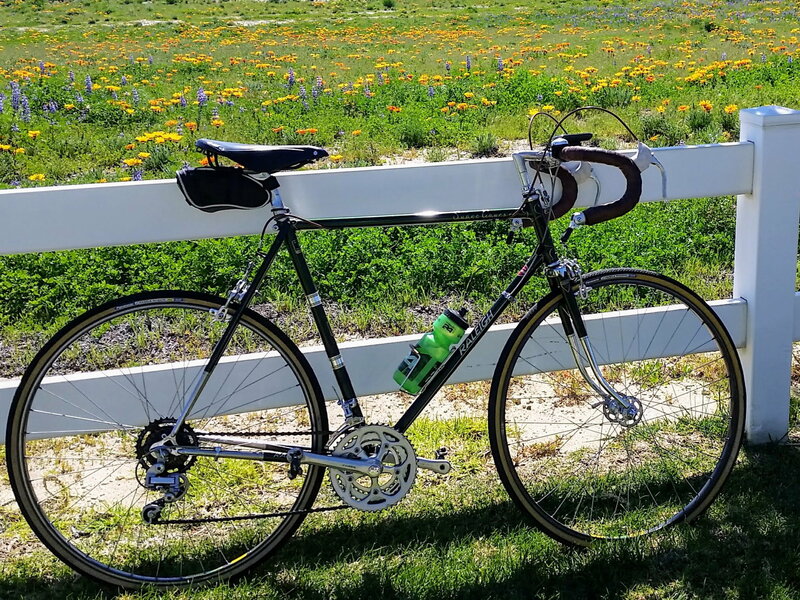 For me, the ideal bike has perfest to a touch less than spec right-side chainline, a right crank that almost hits the chain in big-small and a left crank that just misses the chainstay. The solution I love is Phil Wood BBs. Only have one on one bike but getting exactly the asymmetry and length I want is so cool. Now that one was purchased from PW, but when I told the engineer the length and asymmetry, he said he a a symmetrical one in stock that I could dial in that amount of asymmetry.